Many people use YouTube to listen to music, despite not being very comfortable. 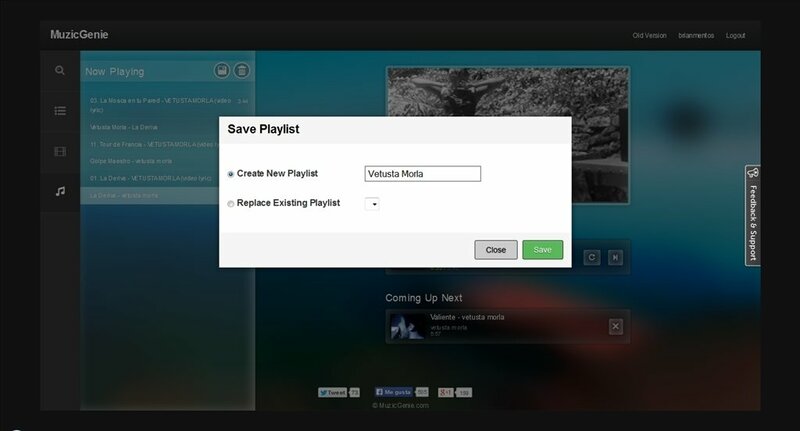 Now with MuzicGenie you can play all YouTube's music, creating playlists in a very simple manner. You'll only have to search and then manage the results as you wish. MuzicGenie: YouTube's music without limits. 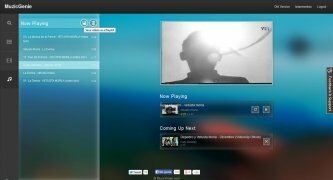 Listening to music on MuzicGenie is really simple: search for your favorite band and you'll be shown a list with all the videos available. 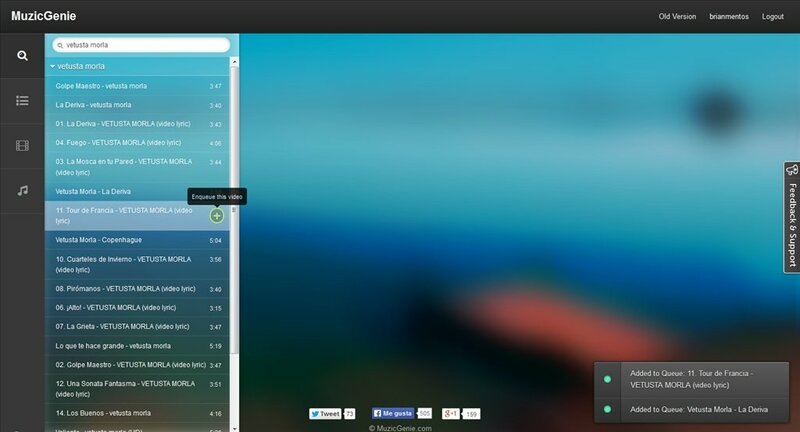 Start playing whichever one you want and start adding the songs that you want to play. Once you've completed the list, you can save it with a name. 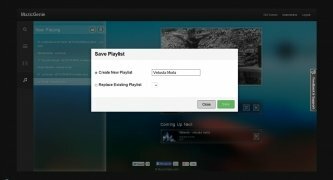 Another option offered by MuzicGenie is to automatically create lists of songs, so you don't have to worry about choosing the songs yourself. 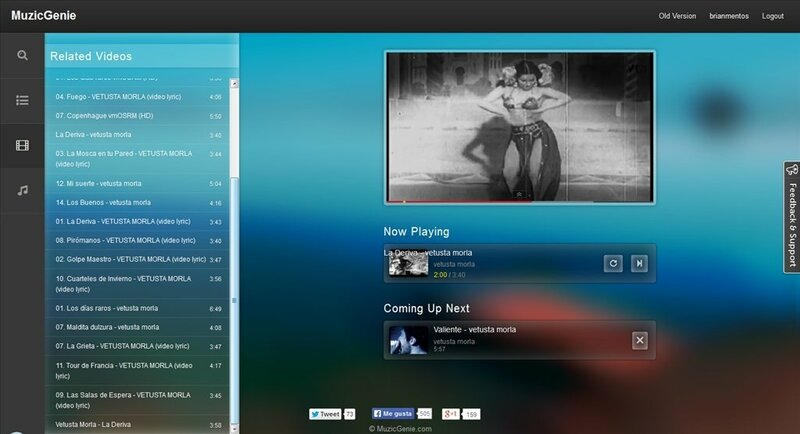 And of course, on MuzicGenie you can watch all the music videos of your favorite singers. 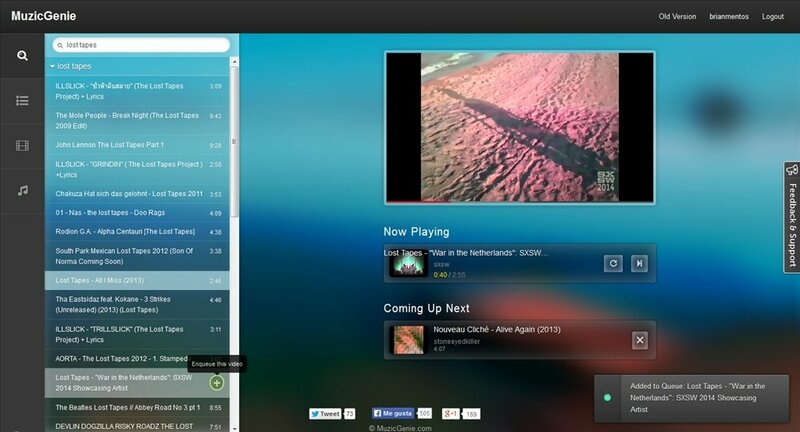 Enjoy YouTube's music in a much more comfortable manner thanks to MuzicGenie. Requires that you sign up for free to save the playlists.